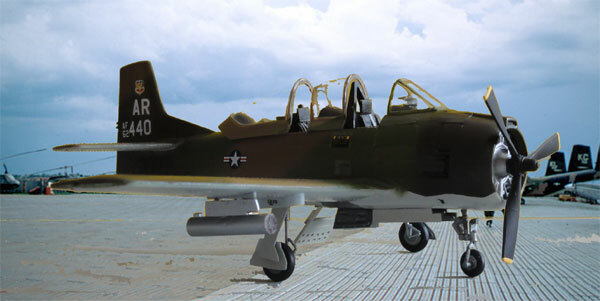 The North American Aviation company developed a piston-engined military trainer aircraft to be used by the USAF and US Navy in the nineteen fifties. 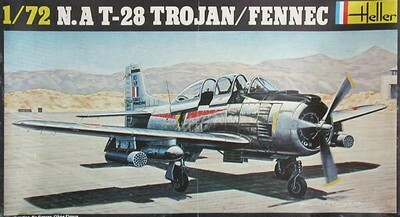 It was known as the T-28 Trojan. The main versions were initially the T-28A with a 2 bladed prop and high canopy hoods, the T-28B with new engine and slightly lower canopy hoods, 3-bladed prop and another cowling and retained air speed brake followed by the T-28C being a US NAVY trainer with tailhook. In 1958/ 1959, the "Armée de l'Air Française" was involved in the war in Algeria, a French colony. The French needed a better ground attack capability and decided to get T-28's. But only second hand surplus T-28A's could be delivered and these were modified to a mere T-28B standard by Sud-Aviation in France and some 148 aircraft were modified and were called the Fennec ("desert fox"). 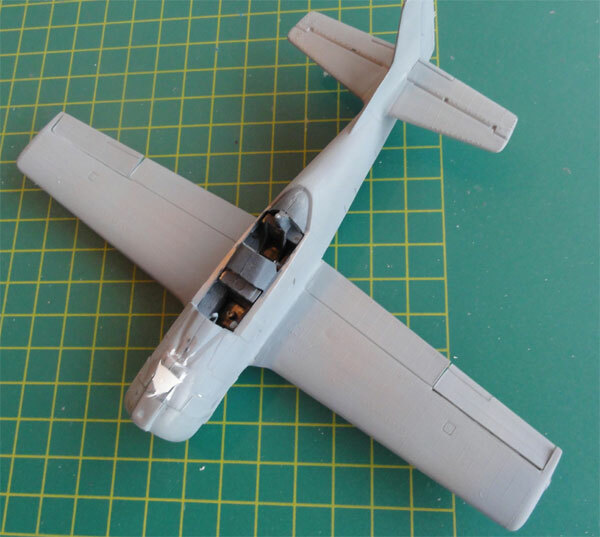 The Fennecs got the T-28B style engine cowling and the Wright R-1820-76A engine of 1425 hp with a 3 bladed propeller was used. 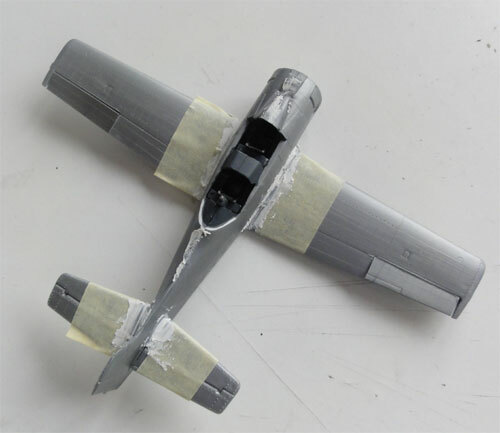 The cowling got also an additional smaller air intake on the cowling top for cockpit cooling. They also got different six underwing hardpoints so 250 lbs bombs could be dropped or two pods French type .50 machine guns or rocket pods. The seats got armoured headrests and inside the cockpit some instruments and a different engine "reversed" throttle was installed. The total costs of these modifications were quite high once all French aircraft had been modified. Finally the T-28D version was developed based on the T-28B and to be used for ground attack and the counter insurgency (COIN) role. 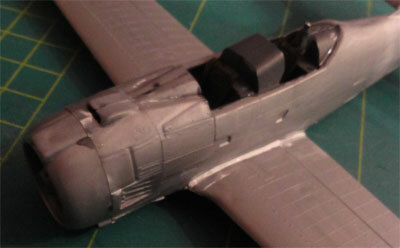 It got extra hardpoints/ pylons and armament as well as armoured seats. 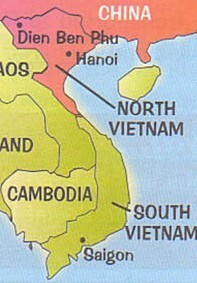 Planes were used in the South Vietnam war and also delivered to Laos in 1963 and also South Vietnam. The Vietnam war saw that the type was used for scouting and light ground attack operations. Over 1,900 T-28 aircraft were manufactured and also delivered to foreign countries like the Phillipines, Bolivia, Honduras and the French with the Fennec program (and later Haiti). The 1/72 kit used here is the old kit for a FENNEC from HELLER of France. 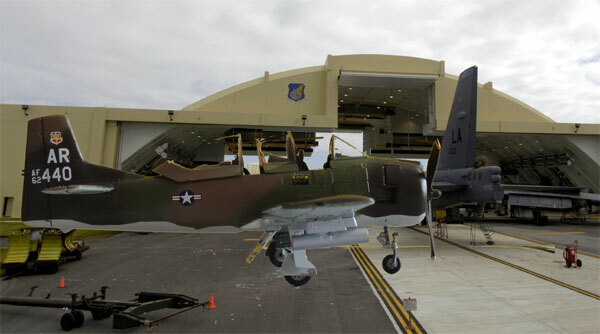 It will be converted "back" into a T-28D USAF Vietnam aircraft. 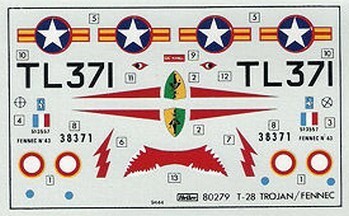 Not having decals, I simply used some photos from the well known "Squadron Signal" book series, see references below. The Heller kit was first issued around 1980. 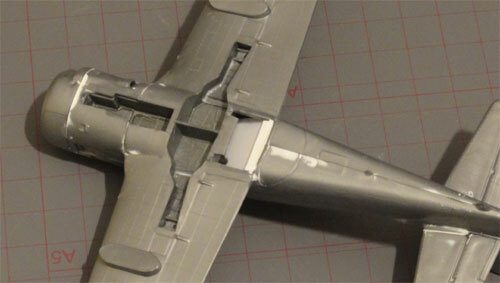 It was the only model in 1/72 scale of this airplane, now Sword has a couple of kits (to be made in the future). 1/ French EALA Fennec of 2/72 in Algeria in 1960. 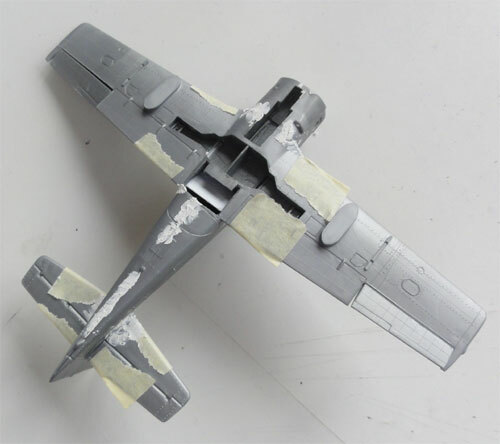 - removal of the air intake on top of the cowling and the removal of the typical French style hardpoints below the wing. 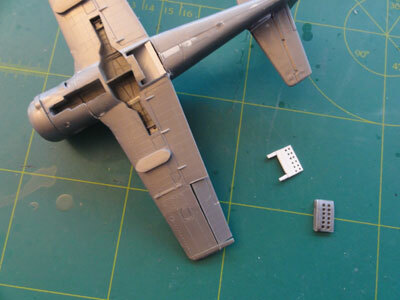 - use the seats with the armoured headrests as used in the T-28D as per kit. 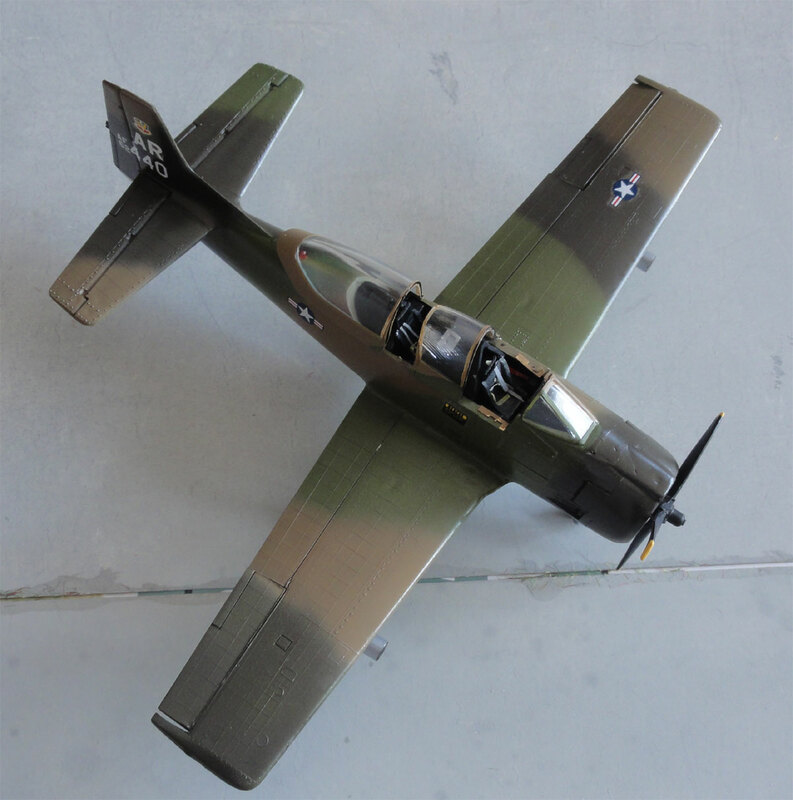 - the USAF T-28D had different hardpoints/pylons than the Fennec that had French armament like gun pods. Also, the canopy hoods are "not so big". 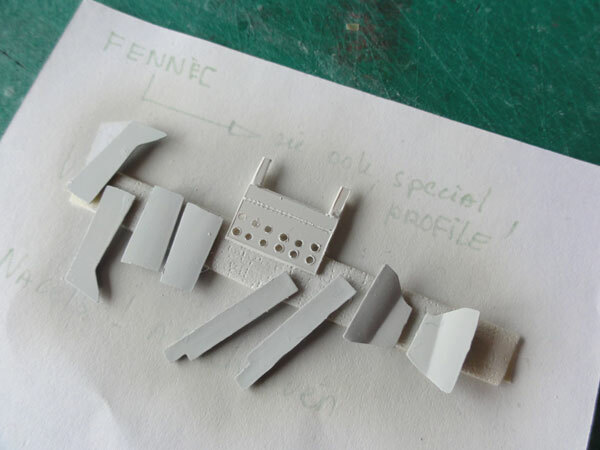 But I decided at this scale to retain the kit parts and Fennec shapes. - thinner vacuformed canopy hoods from a PAVLA set V72-78. The difference with the kit part is that it is thinner. The bulged hoods as for the Fennec are not here but in this scale I think it was acceptable. This old kit has the typical raised panellines with nice rivets and is quite nice. The rivets capture those as on the real aircraft. 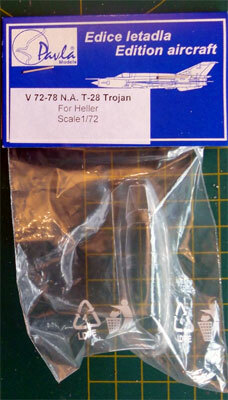 Parts are in grey/metal aluminium coloured very soft plastic typical of HELLER. The kit assembly was straight forward. However, some changes were made. I opted to open up the lower brake so the well was opened up and an air brake made from card with holes drilled open. The cockpit is OK and has nice detail. 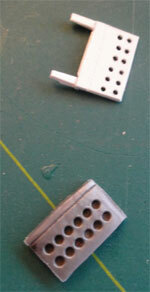 Here seen are also the "lower wing stabs" , a sort of pylon for various stores. I retained these. As noted above, the T-28D Trojan has no cockpit cooling air intake on the upper cowling. The Heller kit has one (which is correct but for a Fennec) so the air intake was cut off and the gap filled and sanded as seen below. Also, filling the smaller gaps was now done. 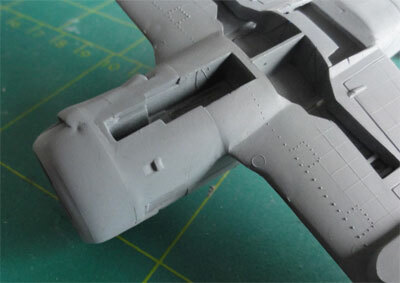 First, a couple of light grey base coats were applied with the airbrush to check for any flaws that needed rework. 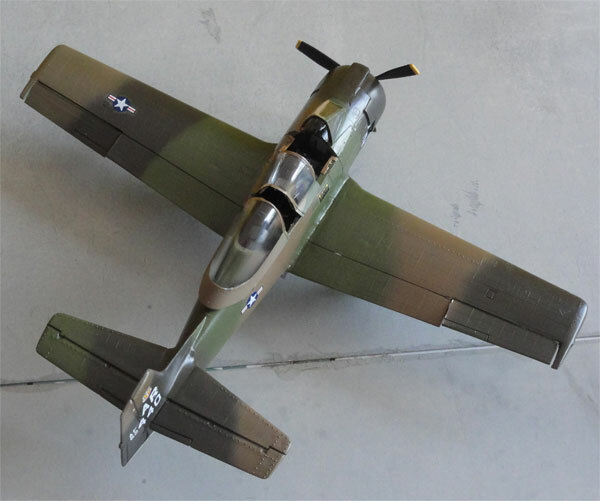 As noted before, the scheme picked for the model was for a T-28D Trojan plane of the USAF as used in Vietnam. The doors were also not forgotten. 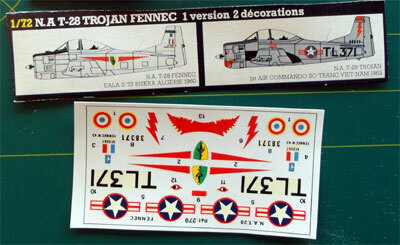 Decals were retrieved from the decals spares box. Only a few decals were to be added. Before setting onto the model, each decal was dragged through some Johnson Future/Pledge varnish. This will prevent silvering. Each decal was set in place and the remainder of the water and varnish removed with a fine cloth. The tail code and serial numbers are a bit too large, I had no others available. 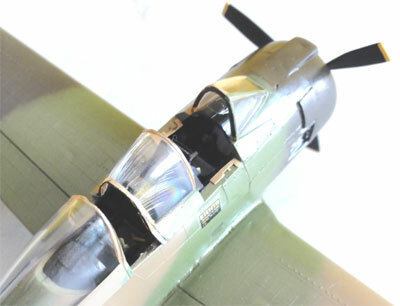 After decalling, details like the undercarriage were set on the model. Two rocket pods were set under the wing. 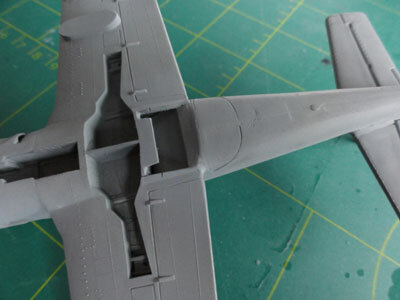 Overall a semi-matt coat was sprayed onto the model, through a mix of Johnson Future/Pledge varnish with say 10% Tamiya X-21 flat base acrylic matting agent. 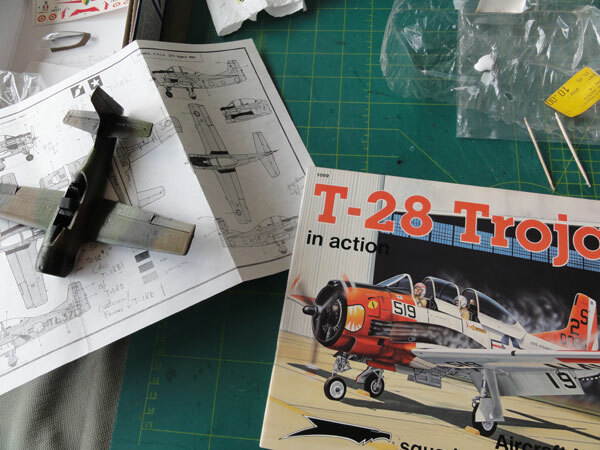 That completed the North American T-28D Trojan model after laying more than 25 years in the stack.